When it comes to seafood, people are torn between Chinatown, huge seafood establishments, and crab houses. One of the most famous ones is Bob Chinn's Crab House. This restaurant, located in the suburb of Wheeling, has been featured as one of the most popular seafood restaurants in the Nation. When you arrive, it seems like any ordinary restaurant from the outside, but you find an amusement park feel on the inside. There are huge signs that say parties of 2, 3, or more and different lines for each group. The walls are filled with pictures of celebrities or other restaurant propaganda, including various T-shirts for sale. After getting over the strange ambiance, the hawaiian-shirt wearing waiter arrives at your table with amazing garlic rolls. When the food arrives, you see a trend of delicious seafood recipes cooked to perfection. Unfortunately, the side dishes appear to not be held to the same standards. Most are subpar. All in all, I thought the seafood was incredibly fresh and tasty. The prices are pretty expensive, easily around $50 per person. The location is not the greatest for Chicagoans, but if you make the trek out to the burbs, you won't be disappointed with the flavor. I decided on a 4-mile rating because I loved the food, but thought a similar meal could be eaten in Chicago's Chinatown. To start off, all tables get homemade garlic rolls. These traditional rolls are swimming in a garlic- parsley butter and come to your table piping hot. The garlic is raw, so be aware... it has that nice sharp garlic flavor that is sure to make your breath unpleasant, but these rolls are totally worth it. Ask for however many you want, but I will say, we were pretty full after eating just a couple so save room for the amazing seafood meals you ordered. 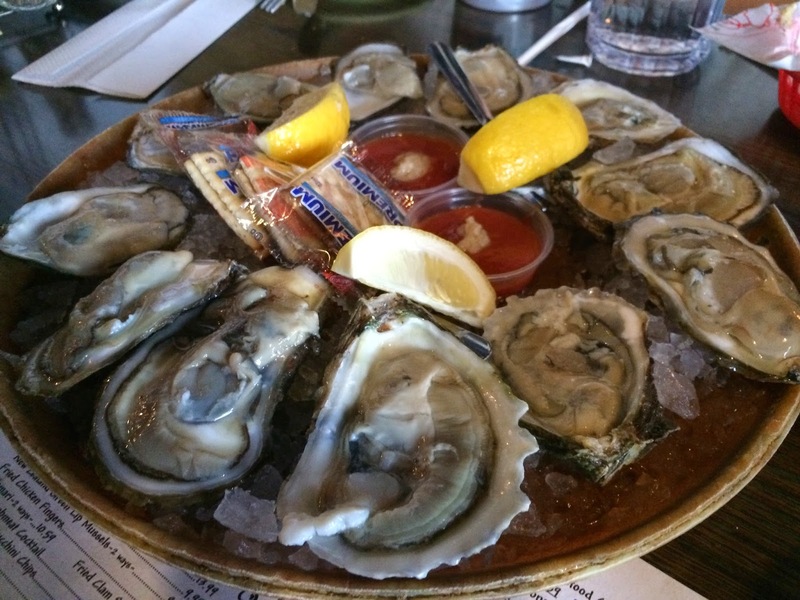 The oysters at Bob Chinn's were the typical larger-style oysters that many oyster houses feature. Unfortunately, you cannot choose the location or type of oyster you want. These are served by the dozen and come with cocktail sauce, horseradish, saltine crackers, and lemons. The oysters were as fresh as they come. Nothing special, but still great tasting. For our meal, my girlfriend and I decided to split a couple entrees. Our first was the large Alaskan dungeness crab cooked with ginger and onions. The crab was served hot and smothered in that sweeter Asian style sauce. A side of red potatoes also accompanied the meal. The crab itself was about 2 pounds in weight. They break off the top shell for you but leave all the legs and clusters intact. The shell is tough to break, but nothing teeth can't handle. Huge chunks of crab can be gained from the legs and clusters. Dip them into that ginger sauce and enjoy. The sweet crab works well with the ginger and onion sauce. The red potatoes were just an OK side and I honestly wouldn't order those again... but that crab was amazing and I recommend it to everyone. Rather than ordering lobster and having even more shell to pick through, we decided on the lobster roll as our second entree. The lobster salad is made with huge chunks of lobster and a little mayo. It is served in the traditional New England style buttered roll and with a side of green beans. The sandwich itself is huge. There is plenty of claw meat to go around, but unfortunately, it is served on the room temperature-to-cold side rather than being a warm lobster roll. The mayo makes it a little on the richer side which is amplified by the buttered roll. I thought the roll was a little too dense and too much for me. We ended up eating the lobster salad separately rather than as a sandwich. It was a great sandwich at a reasonable price. 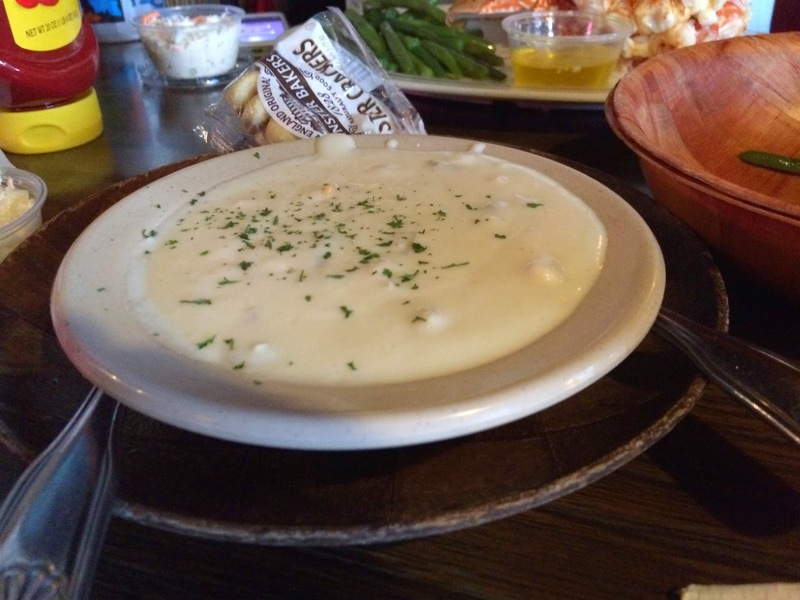 The final menu item we decided to share was a cup of their clam chowder. Being the New England version, we expected a more creamy, white soup with plenty of clams and potatoes. And, we weren't disappointed. First of all, the cup of soup was a huge bowl, plenty for two people to share. The soup was very creamy... sometimes a couple bites seemed too creamy. There was plenty of clams and potatoes. The soup is served hot and with oyster crackers. Another great option at Bob Chinn's. Prior to eating at Bob Chinn's, I had heard great reviews about their Mai Thai cocktails. 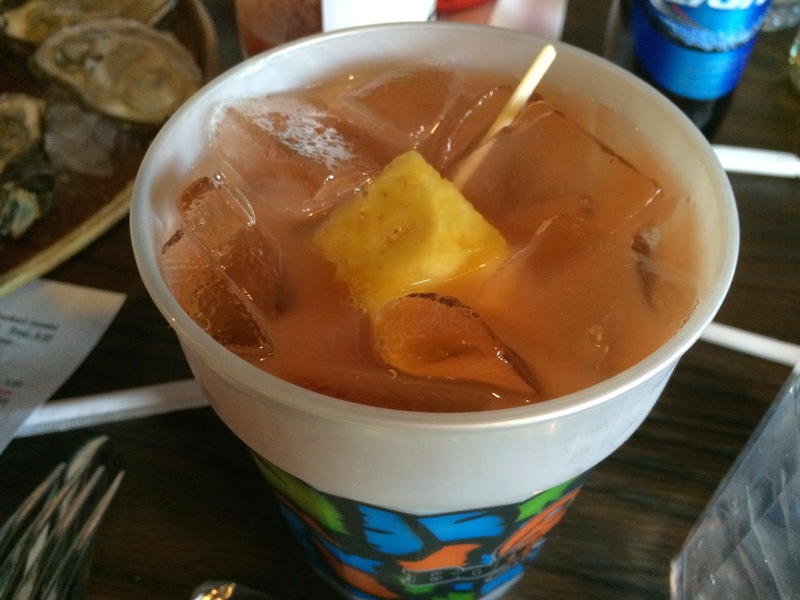 They were served in these plastic, vacation-resort-like cups and had a skewer of assorted tropical fruit in it. The drink was great and I would definitely come back to get another cup or two. - Come on the weekdays. This place gets extremely packed during the weekends and the wait can be on the upwards of two hours at some point. - Share everything! The dishes are huge. - Plenty of parking surrounding the restaurant on both sides. - Don't expect a 5-star ambiance. Instead, picture great food in a vacation-like, amusement park feel.